There is no road map for how to properly deal with becoming a widow, but what if you can’t even be sure you really are? Thanks to cryonics, this is now a real question to consider. Carrie’s husband Dan is decidedly dead, gone from an apparent heart attack, but can she really be called a widow? Can she grieve like one? She laughed when he first mentioned it, but now Dan has left her in emotional limbo, having opted to have his body frozen while his life is “suspended”. The plan is to come back one day, after science figures out the other end of the process. His wife was to join him, but Carrie has other plans. As Dan’s body is packed up and shipped off to some distant future Carrie will never be a part of, she is left to pick up the pieces with her daughter Eleanor and face life as a grieving non-widow. Two years later, old, painful and mysterious flames are rekindled, but just what secrets they shed light on remains to be seen. 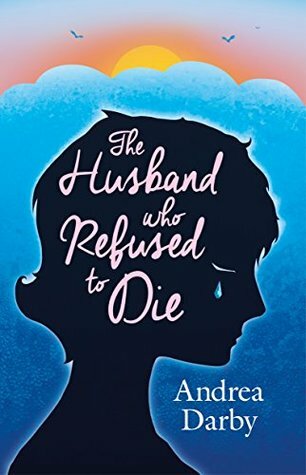 There are many themes to unpack in The Husband Who Refused to Die. The ethics of “playing God”, rich vs poor, the effect of death on a family, and the difficulty of moving on in grief are all touched on to varying degrees in this work. Carrie makes a valiant effort, but are there too many forces at work against her? While Carrie tries to figure out how to grieve for a husband who is not really dead, their daughter Eleanor must navigate the same sorrow, but for a father who is also not dead but is still gone forever. She also has the added hardship of being a teenage girl who was already having a rough time, and her classmates who are happy to make it worse. Eleanor wishes she’d never heard the word “cryonics”. Sunny, Carrie’s aptly-named sister-in-law, is an outwardly positive reflexologist with a stone, potion, or remedy always at the ready. This is a result of the crunchy-hippy life Sunny and Dan’s parents raised them in, which Sunny never grew out of. Sunny is there to support Carrie, but lately their interactions seem to be less about helping Carrie to grieve and more about pressuring her to abide by Dan’s wishes. Two years later, Carrie has learned to get through her days, and is trying to be a good mother to troubled Eleanor. Carrie has rekindled an old flame, but even this brings more questions, mostly about the shroud of mystery surrounding the end of their previous relationship. I felt this came to a somewhat unsatisfying resolution, as Ashley was let off the hook a bit too easily. Eventually, the circumstances around Dan’s decision to be frozen become a source of public controversy, and of course he is not here to face it. Now Carrie is left to answer for the alleged actions against her husband, regarding something she never wanted him to do, and has been a giant source of pain for her and her family. As questions about the selfishness and ethics of donating money to be cryogenically frozen begin to arise, the press begins to close in. Angry letters give way to hate mail, which eventually turn to threatening calls, and eventually Carrie finds herself in real danger. Worst of all, could the things they are saying about her husband true? 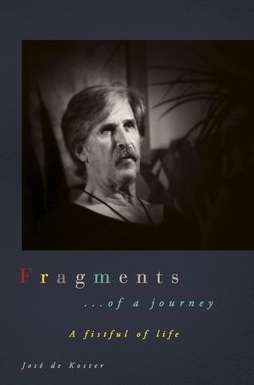 Darby has offered a humorous and unique new take on the age-old story of loss, grievance, and perseverance. Although some parts did drag on a bit longer than necessary without adding much payoff, for the most part the story moved along nicely. Anytime it started feeling at all predictable, interesting new conflicts would arise, deepening my sympathy for Carrie. This was a fun read which raised lots of questions that would be difficult to answer if I were put in the position to do so. I thoroughly enjoyed reading it. Posted on February 14, 2017, in Book Reviews, Four Stars and tagged amazon, amazon books, andrea darby, author, book, book review, books, contemporary, cryo, cryogenically, cryonics, ebook, ebooks, ethics, fantasy, fantasy book review, fiction, frozen, goodreads, kindle, kindle books, kindle ebooks, literature, love, mystery, novel, publishing, reading, review, reviews, romance, sci fi, science ficiton, science fiction, science fiction book review, stories, the husband who refused to die, urban fantasy, women, writing. Bookmark the permalink. 4 Comments. This is very topical, and original. Thank you for taking us to a place to think about where we will be soon enuff. Kudos to the author for coming up with a truly unique plot. Sounds very interesting. This one sounds interesting. Thanks for sharing it. Wow! I never really looked at it this way. One of my dad’s Uncle’s was cryogenically preserved since I was was a kid and I’ve already considered him dead. I’m pretty sure the family grieved for him the day he “left”. The author put a good twist on this story.